In the production of TANAKI timing covers special attention is paid to the accuracy of manufacture of the mating surfaces, these being the main factors affecting correct installation and operation of related engine parts. High accuracy of the mating surfaces prevents oil leakage and improves operation of the cooling system by reducing losses from the water pump cover union. Seals used in TANAKI timing covers are made of fluorine rubber, characterized both by its high resistance to different corrosive media across a wide temperature range, and by its appropriate physical and mechanical properties, including resistance to abrasion. The cylinder head and engine cylinders form above-piston chambers where all the thermal processes of each operating cycle occur. 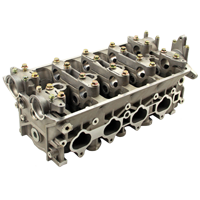 The design complexity of the cylinder head is dictated by the many functions it performs and the particular requirements of it. - Two springs per valve to eliminate the possibility of the valve hitting the piston in the case of spring failure. - Sintered metal-ceramic valve seats to improve tightness in the seat-to-valve mating and to maintain compression in the combustion chamber. - The use of only the highest quality raw materials combined with up-to-date casting technology ensures the high grade of finish and smoothness of the inlet and outlet ports and other surfaces of the components. This decreases pumping losses, improving the flow of gases into and out of the combustion chambers, thus, increasing the engine power and reducing fuel consumption. - 100% quality control, using over 100 different parameters is carried out at different stages of production. 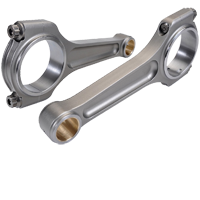 TANAKI connecting rods are forged from high strength alloy steel. The rod body has an H-section which ensures high strength and rigidity despite the rod’s relatively low weight. Camshafts are designed to open the inlet and exhaust ports in accordance with a predetermined valve timing sequence, optimized for the relevant engine. 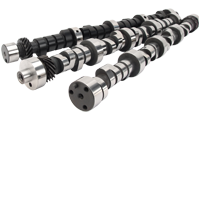 In order to ensure that our camshafts can withstand their high loads TANAKI produces them from ductile cast iron using spheroidal graphite with a subsequent heat-treatment of the working surfaces, which further substantially increases the shaft service life. 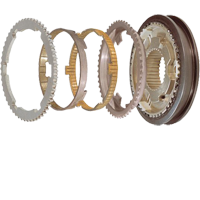 TANAKI timing sprockets and arms are designed for each specific individual application and provide 100% accuracy in the chain gear coupling. 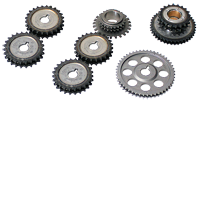 Sprockets and arms are produced by close tolerance forging or are made from metal ceramics, depending on the model, and are manufactured on automated production lines. 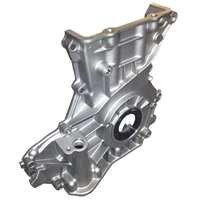 The sprockets have guide grooves or notches to provide for accurate assembly. Modern highly-sophisticated vehicle engines operate at high temperatures and speeds. Additionally, to save space under the bonnet, small diameter pulleys are used. 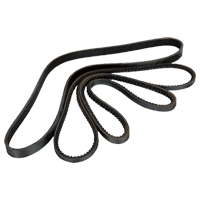 In these circumstances the loads on the accessory drive belts and timing belts are increased. To ensure maximum service life and to prevent engine failure only belts which conform to the original equipment quality standards should be used. TANAKI belts are manufactured in accordance with the stringent requirements of the original equipment market to ensure their long service life. - The spirally wound cord threads are made from fiberglass to ensure high flexibility and stretch resistance. TANAKI valves are made from heat resistant austenitic alloys and, in order to increase their hardness and wear-resistance, nitrogen containing coating is used. 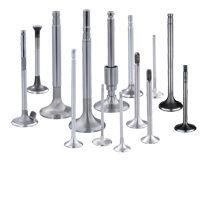 For heavy-duty engines, including gas-powered engines, the valves have special heat resistant working surfaces. Simple, effective TANAKI thermostats have proven their effectiveness millions of times in ensuring efficient coolant flow and ideal operating temperatures inside car and truck engines. - body made of alloyed steel. TANAKI synchronizers are made of high strength materials, forged using advanced equipment in accordance with the highest quality standards. TANAKI synchronizers ensure noiseless and smooth gear actuation and increase transmission reliability. 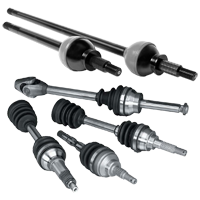 The drive shaft is one of the most heavily loaded parts of a vehicle. Its components are subject to multiple stresses and it is therefore essential to ensure a high level of accuracy during drive shaft manufacture, including spline joint precision and a large safety factor in dynamic and static strength. 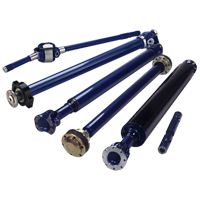 All TANAKI drive shaft are manufactured on the most up-to-date equipment. Drive shaft development and production complies fully with existing ISO standards and all current safety regulations, and uses the latest and most sophisticated technology. Only the highest quality raw materials from leading manufacturers are used. 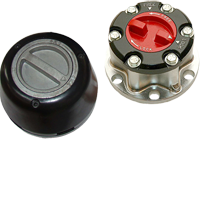 TANAKI hubs ensure easy and quick engagement and release for front wheel drives. This improves car performance, reduces fuel consumption when driving on fully-surfaced roads, and reduces the wear, noise and vibration generated as a result of the rotation of the heavy components in front axles. Constant-velocity joints provide uniform transmission of power to the drive wheels, whatever the driving conditions, such as when steering or when there is motion in the vehicle suspension. The main cause of constant-velocity joint failure is poor sealing of the protective boot. Therefore, it is necessary to replace both the CV boot and the constant-velocity joint at the same time in order to extend the service life by protecting the unit from premature failure. This is precisely why all TANAKI joints are supplied complete with the necessary accessories, such as the CV boot, lubricant, clips, retaining rings, etc. 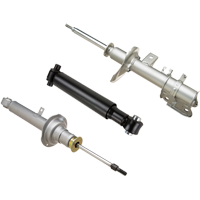 TANAKI shock absorbers represent modern technology and perfect manufacturing quality. 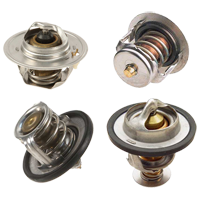 All TANAKI shock absorbers are supplied with the set of fasteners and bushings necessary for their installation.